Jackson Hole Real Estate Associates is thrilled to host industry leaders from across the globe for an exclusive networking summit in Jackson Hole, Wyoming this week. Featuring an exceptional line-up of keynote presenters, business experts and distinguished guests, the Global Networking Event 2019 will explore emerging real estate trends and offer actionable sales and marketing solutions from the world’s leading professionals. Building on the success of the inaugural Global Networking Event hosted by Jackson Hole Real Estate Associates in 2016, this year’s conference offers unprecedented access to the world’s top real estate, business and marketing experts. 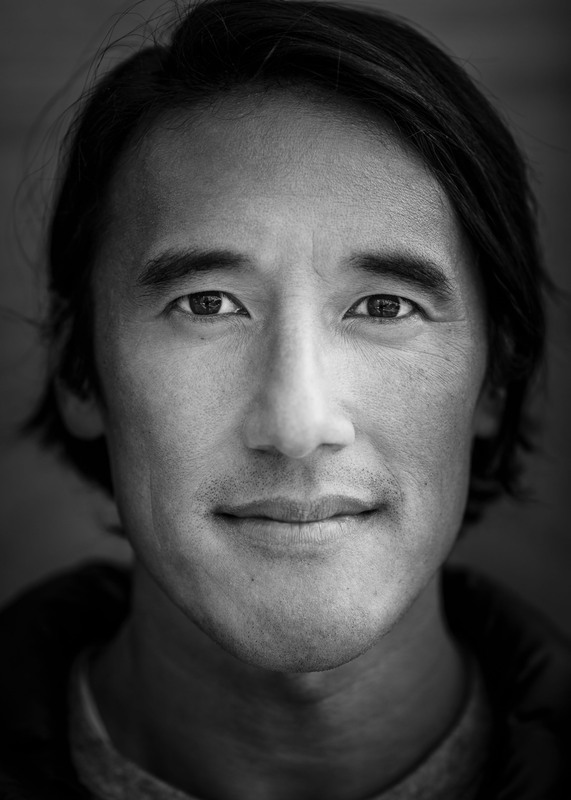 We are excited to welcome Oscar-nominated filmmakers Jimmy Chin and Elizabeth Chai Vasarhelyi as keynote speakers on January 25. A professional climber and skier and regarded as one of the world’s premier outdoor photographers, Chin entered the mainstream with his 2015 film, Meru—which chronicles the daring first ascent of the Meru Shark Fin peak. His latest film, Free Solo, documents Alex Honnold’s monumental ropes-free climb of Yosemite National Park’s El Capitan and has garnered international acclaim. This week it was nominated for an Oscar in the Best Documentary category. Vasarhelyi’s achievements are equally impressive. Her 2003 debut film, A Normal Life, won Best Documentary at the Tribeca Film Festival. 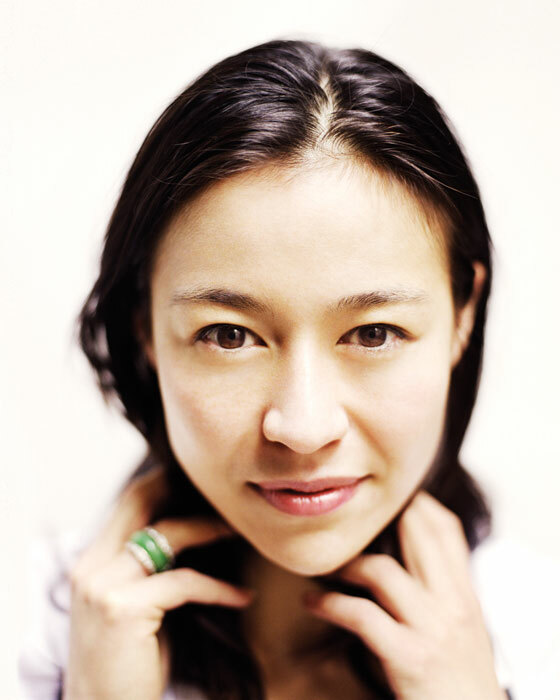 Her portfolio boasts five more films since, including collaborations with her husband Chin on Free Solo and Meru. Following a welcome reception on January 24, the Global Networking Event will open with a breakfast meeting on January 25 led by Thom Gruhler, CEO of Fjuri and former CMO of Microsoft. Drawing on experience at the forefront of the modern marketing frontier, Gruhler, who has spearheaded campaigns for numerous Fortune 500 companies, will explore opportunities to leverage modern technologies and disrupt traditional marketing models. On January 26, business strategist Ryan Estis will share insight into how to optimize business performance in the New Economy. Called a “man on fire” and the “best motivational speaker seen or heard,” Estis will offer actionable guidance to drive success in today’s real estate markets. Jackson Hole Real Estate Associates is pleased to present a fireside luncheon led by Bernie Uechtritz of Icon Global and Richard Ziegelasch of Brown Harris Stevens. Uechtritz is the top ranch broker in the world and has represented many of the finest luxury ranch properties, including the sale of the Waggoneer Ranch in Texas last year. Ziegelasch is among New York City’s top-performing agents and brings more than 20 years of experience in real estate finance, marketing and sales. These industry moguls will share “tips of the trade” tailored to today’s real estate markets. 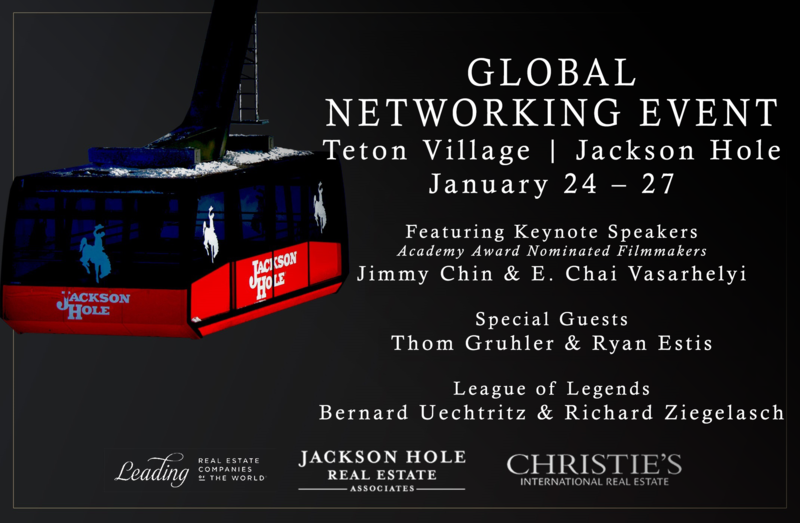 The Global Networking Event will be held at Teton Village in Jackson Hole, Wyoming, January 24 – 27.